Watching Avatar, I was continually reminded of Zizek's observation in First As Tragedy, Then As Farce, that the one good thing that capitalism did was destroy Mother Earth. "There's no green there, they killed their mother," we are solemnly informed at one point. Avatar is in some ways a reversal of Cameron's Aliens. If the "bug-hunt" in Aliens was, as Virilio argued, a kind of rehearsal for the megamachinic slaughter of Gulf War 1, then Avatar is a heavyhanded eco-sermon and parable about US misadventures in Iraq and Afghanistan. (What's remarkable about Avatar is how dated it looks. In the scenes of military engagement, it is as if 80s cyberpunk confronts something out of Roger Dean or the Myst videogames; Cameron's vision of military technology has not moved on since Aliens) At the end of the film, it is the human corporate and military interests who are described as "aliens". But this is a film without any trace of the alien. Like most CGI extravaganzas, it flares on the retina but leaves few traces in the memory. Greg Egan finds little to admire in Avatar, but he does defer to its technical achievements: "mostly, the accomplishments of the visual designers and the army of technicians who've brought their conception to the screen appear pixel-perfect, and hit the spot where the brain says 'yes, this is real'." The cost of this, though, is that it is very difficult to be immersed in the film as fiction. It is more akin to a themepark ride, a late-capitalist "experience", than a film. What we have in Avatar is another instance of corporate anti-capitalism such as I discussed in Capitalist Realism in relation to Wall-E. Cameron has always been a proponent of Hollywood anti-capitalism: stupid corporate interests were the villains in Aliens and Terminator 2 as they are in Avatar. Avatar is Le Guin-lite, a degraded version of the scenario that Le Guin developed in novels such as The Word For World Is Forest, The Dispossessed and City Of Illusions, but stripped of all Le Guin's ambivalence and intelligence. What is foreclosed in the opposition between a predatory technologised capitalism and a primitive organicism, evidently, is the possibility of a modern, technologised anti-capitalism. It is in presenting this pseudo-opposition that Avatar functions as an ideological symptom. No primitivist cliche is left untouched in Cameron's depiction of the Na'vi people and their world, Pandora. These elegant blue-skinned noble savages are at one with their beautiful world; they are Deleuzean Spinozists who recognise that a vital flow pervades everything; they respect natural balance; they are adept hunters, but, after they kill their prey they thank its "brother spirit"; the trees whisper with the voices of their revered ancestors. (Quite why skirmishes with the Na'vi and their bows and arrows should have prompted Steven Lang's grizzled colonel into Apocalypse Now-like disquisitions on how Pandora made for is his worst experience in war, is unclear.) 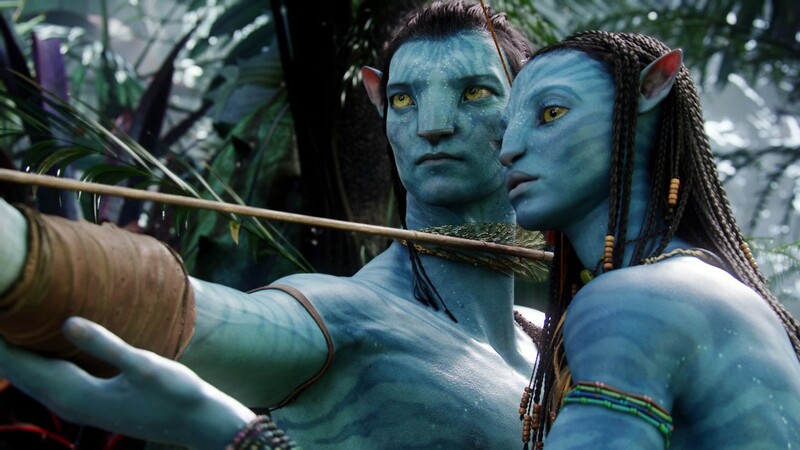 "There's nothing we have that they want," concludes Sam Worthington's Jake Sully of the Na'vi. Yet the Na'vi predictably seduce Sully, who quickly "forgets everything" about his former life on earth (about which we learn almost nothing, beyond the fact that he is a marine who got injured in the course of battle) and embraces the wholeness of the Na'vi way of life. Sully attains wholeness through his avatar Na'vi body in a double sense: first, because the avatar is able-bodied, and, secondly, because the Na'vi are intrinsically more "whole" than the (self-)destructive humans. Sully, the marine who is "really" a tree-hugging primitive, is a paradigm of that late capitalist subjectivity which disavows its modernity. There's something wonderfully ironic about the fact that Sully's - and our - identification with the Na'vi depends upon the very advanced technology that the Na'vi's way of life makes impossible. But a telling tic in the film is the repeated compulsion to explain the persistence of (physical) wounds among the human characters. Given the level of technology in the film's 2051, both Sully's useless legs and the colonel's scars could easily have been repaired, and the script goes out of its way to say why the two characters they remain disabled and maimed respectively: in Sully's case, it's because he can't afford the medical treatment; in the colonel's, it's because he "likes to be reminded of what he's up against". Such explanations are clearly unconvincing - the narratively underdetermined wounds can only be explained as libidinal residue which the film cannot fully digest into its digital Imaginary. The wounds prevent the disavowal of modern subjectivity and technology which Avatar attempts at the very same moment that the film invites us to admire it as a technological spectacle. If we are to escape from the impasses of capitalist realism, if we are to come up with an authentic and genuinely sustainable model of green politics (where the sustainability is a matter of libido, not only of natural resources), we have to overcome these disavowals. There is no way back from the matricide which was the precondition for the emergence of modern subjectivity. To quote one of my favourite passages in First As Tragedy: "Fidelity to the communist Idea means that, to repeat, Arthur Rimbaud, ... we should remain absolutely modern and reject the all too glib generalization whereby the critique of capitalism morphs into the critique of 'modern instrumental reason' or 'modern technological civilization'." The issue is, rather, how modern technological civilization can be organised in a different way.